From a young age, Jill has acted as the responsible adult in her small family. She cares for her loving but mentally unstable mother and her younger brother. The news that their estranged father will be visiting on Jill’s birthday gives the children much-needed hope. When the family is struck by tragedy, Jill keeps it a secret. Blind Spot centres on a mother's struggle to understand her teenage daughter's crisis, when tragedy strikes the whole family. UK director Paul Greengrass, whose United 93 (2006) about one of the planes hijacked in the US on 11 September, 2001, was nominated for an Oscar, will screen his 22 July at a Special Presentation during the 43rd Toronto International Film Festival between 6-16 September. His drama-thriller depicts the terror attacks in Norway on 22 July, 2011, through one of the survivors’ physical and emotional journey. On 22 July, 2011, 32-year-old Norwegian right-wing extremist Anders Behring Breivik detonated a bomb in the capital of Oslo at 15:26. Then he went by ferry to the island of Utøya in the Tyru Fjord, where the Norwegian Labour Party had organised a summer camp for teenagers. He began shooting at the participants, and when he was seized by police at 18:32, he had killed a total of 77 people and wounded 319. 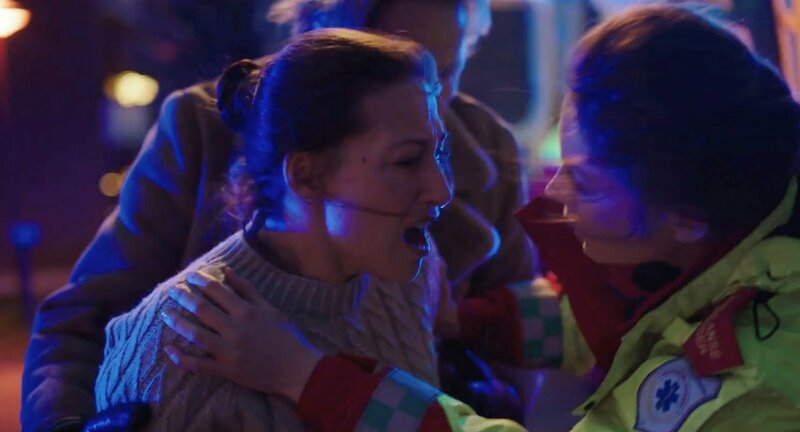 Based on Norwegian author Åsne Seierstad’s book One of Us (En af os), Greengrass has reconstructed the attacks and the response to them for the film, shot in the UK with a Norwegian cast. Originally titled Norway, the Scott Rudin-Gregory Goodman-Eli Bush production for Little Lord Productions was backed by €1.8 million from the Norwegian Film Institute’s incentive programme to attract international projects. Picked up for distribution by Netflix, starring Thorbjørn Harr, Anders Danielssen Lie and Jon Øigarden, 22 July was world-premiered on Wednesday, 5 September at the Venice International Film Festival, where Nordic critics agreed it was not Greengrass’ best film till now, still it had certain qualities. ”An absorbing, thought-provoking exploration of how individuals and a society try to rebuild in the wake of terrorism, 22 July shuns sensationalism in its portrait of Norway’s devastating 2011 attacks that left 77 people dead,” wrote Tim Grierson in Screen International. ”As with his United 93 and Captain Phillips, filmmaker Paul Greengrass has taken a horrifying true story and brought sober perspective to it — in the case of 22 July, suggesting that a community’s response to terror can be as critical to a democracy as the attacks themselves. “These are difficult times,” Lippestad (a Norwegian lawyer) announces solemnly at one point. The film’s power stems from its acknowledgement that those times may be with us for a while, constantly testing our resolve in the face of such evil,” he concluded. Behring was sentenced to the maximum 21 years in custody for terror, and his one-man warfare has so far inspired four films – besides Greengrass’, Norwegian director Erik Poppe’s U – July 22 (Utøya 22. juli), which was premiered at this year’s Berlin International Film Festival, Swedish director Carl Javér’s documentary, Reconstructing Utøya (Rekonstruktion Utøya), and 22 July, a six-part television series by Norwegian writer-directors Sara Johnsen and Pål Sletaune, currently in production for pubcaster NRK. Norwegian films screening at the Toronto International Film Festival include writer-directors Tuva Novotny’s Blind Spot (Blindsone), Camilla Strøm Henriksen’s Phoenix (Føniks) in the Discovery Section (for New Talent) and Bobbie Peers’ To Plant a Flag in the short film programme. Tuva Novotny has made the film Blind Spot because she wants people to be more open about mental illness. Now her film is being screened in Toronto. Tuva Novotny is known as a recognized actor in Swedish, Danish and Norwegian films, but she has also played in international films as Eat Pray Love with Julia Roberts, and the Netflix-film Annihilation this spring. When she makes her debut as a film-director it is in a Norwegian film, Blind Spot (Blindsone). The film is just now being shown at the prestigious filmfestival in Toronto in Canada. Blind Spot is the story about a family falling to pieces when the teenage daughter tries to take her own life - an incident no one had foreseen. 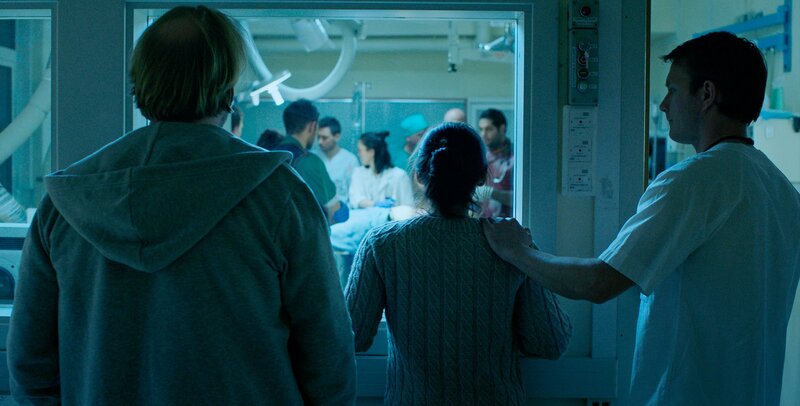 The film follows the mother Maria (Pia Tjelta) trying to understand what has happened - and why, and the father Anders (Anders Baasmo Christiansen) who first shows up at the hospital. Tuva Novotny wants people to think - and talk - when they see the film. - I first got the idea to the movie when experiencing a case of severe mental illness in my close surrounding, and realizing I was not appropriately equipped to talk about this matter. And seeing people around me struggling with the same lack of psychological tools, I wanted to make a movie about these blind spots- the moment where people suffering from mental illness get isolated from others because their surroundings do not know how to detect or handle the situation, Novotny says. - I wanted to shed light on the fact that openness is a great help in situations like this; simply asking and talking openly helps bursting the bubble surrounding this subject, and can work preventative, Novotny says. This film is shot in one take – and doesn’t give much room to try and fail. It is a bold decision for a filmmaker. - I always knew that the movie was to be shot in real time and in one continuous take, and never abandoned that idea. The biggest challenge I believe was for cast and crew to have faith that they and we could make it, she says. The film, which is shot in Oslo, was made in three different versions - three takes. - We were lucky to actually have three versions to choose from. Since we only had money to go three times, we had to work with the possibility that none of the shots would be good enough. In the end; one of the versions where beautiful, shot on a winter day with snow and frost all around. I loved this version, but ended up choosing the version that was shot on the last day; everyone were tired, the snow had melted and there was a storm outside: the whole look was more grey, dull, and for me, more sober, she says. - This was very important; since the whole mission with the movie was to keep a sober focus on the in betweens; not dramatize or romanticize the subject matter, but to simply state: ”talk about it- you are not alone”. Blind Spot premiered in Norwegian cinemas August 24th, and received fantastic reviews, named "The most important film of the year". The film has been supported by The Norwegian Film Institute. It is being shown in Toronto several time during the festival, as a part of the Discovery-program. - Since my wish with this movie has been to raise awareness on the way we all handle mental illness, I am very happy and thankful that this mission now reaches further and to more people across borders, Tuva Novotny says. Blind Spot is also going to the Film Festival in San Sebastian later in september, where it is competing in the main program. 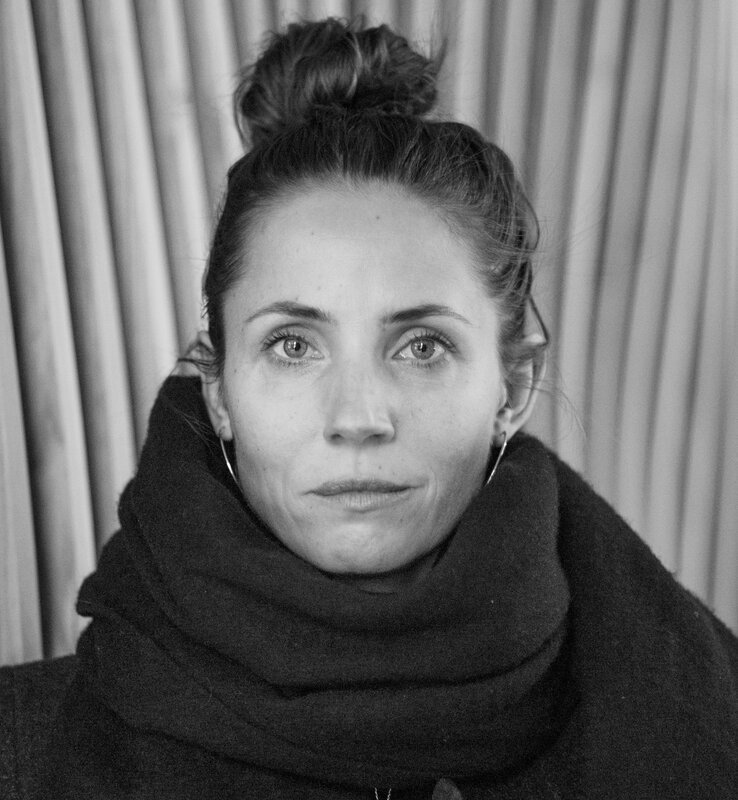 Director Camilla Strøm Henriksen is showing her debut film as a director, Phoenix, in Toronto International Film Festival. - This is a big recognition from a prestigious filmfestival, som this means a lot to me, she says, and admits that she is a bit nervous. - But nervous in a good way. Partly based on her own real-life experiences, her feature debut is the story of 14-year-old Jill, who has for a long time been the responsible adult in her small family, caring for her mentally unstable mother and her eight-year-old brother. When the family is struck by tragedy, Jill keeps it a secret. Tuva Novotnys debutfilm as a director, Blind Spot, is also shown in Toronto, as well as Bobby Peers shortfilm To Plant A Flag. Three Norwegian films – two feature debuts, one short – have been selected for the official programme at the 43rd Toronto International Film Festival, considered the most important in North America, which takes place between 6-16 September: writer-directors Tuva Novotny’s Blind Spot (Blindsone), Camilla Strøm Henriksen’s Phoenix (Føniks) in the Discovery Section (for New Talent) and Bobbie Peers’ To Plant a Flag in the short film programme. Launched at the Norwegian International Film Festival in Haugesund on Monday, 20 August, prior to the Norwegian premiere (24 August), Swedish actress Tuva Novotny first directorial effort follows a mother’s struggle to understand the crisis her daughter is going through, which affects the entire family. “I wrote the script after observing a dominating conspiracy of silence about the subject of mental suffering, both in the home environment and the public debate. I also felt that most of the discussions were focusing on guilt and cause, instead of acceptance and receptivity,” Novotny explained. Produced by Elisabeth Kvithylll for Nordisk Film Production, Blind Spot stars Pia Tjelta, Anders Baasmo Christiansen, Nora Mathea Øien, Oddgeir Thune, Per Frisch, Teodor Barsnes-Simonsen and Marianne Krogh. ”I am happy that Norway gets international attention for a film with this theme,” she concluded. Also screened at the Norwegian International Film Festival in Haugesund, opening the New Nordic Films market on Tuesday, 21 August, Norwegian actress-turned-writer/director Camilla Strøm Henriksen’s Phoenix follows her work on TV series, most recently five episodes of Hotel Cæsar. Partly based on her own real-life experiences, her feature debut is the story of 14-year-old Jill, who has for a long time been the responbile adult in her small family, caring for her mentally unstable mother and her eight-year-old brother. When the family is struck by tragedy, Jill keeps it a secret. "I primarily wanted to make a film about those children who, on one hand, have to take on the adult role too early, and, on the other, do not have the needs fulfilled they have as children. I wanted to show it from the children's perspective, without demonising the adults, "says Henriksen. Scheduled for a 12 October local premiere, the Gudny Hummelvoll production for Hummelfilm has Ylva Bjørkaas Thedin in the lead role a Jill, with Casper Falck-Løvås, Maria Bonnevie, Sverrir Gudnason. ”It is great with such a recognition from Toronto, one of the most important film festivals in the world,” Henriksen added. Bobbie Peers is ready with his sixth short, To Plant a Flag, after having directed his first TV series (Grønnsakshagen/2014) and his first feature (Dirk Ohm – Illusjonisten som forsvant/The Disappearing Illusionist/2015), the latter awarded at the Norwegian festivals in Haugesund and Trondheim. The only Norwegian director, who has won a Golden Palm at the Cannes International Film Festival - for his short Sniffer (2006) – Peers joins a NASA team of astronauts sent to Iceland to prepare for the moon landing in 1969. Their hi-tech training mission soon discovers obstacles, when facing an Icelandic sheep farmer. Scripted by Peers, the 15-minute drama-comedy stars US actors Jason Schwartzman, Jake Johnson and Seth Morris, with Icelandic actor Ingvar E Sigurðsson. With an English-Icelandic dialogue, it was produced by Ruben Thorkildsen, with Fredrik Støbakk, for Ape&Bjørn, with Iceland’s Skuli Fr Malmquist-Zik Zak Filmworks.